Real Estate property provides endless options for leisure or business purposes. Owning a real estate property allows a low-cost method of trade and investment, and enables its owners to profit from investments made on a property. While some property owners decide to utilize the space for their own private and leisurely use, others opt to profit from it by using it for business purposes, putting it up for sale, or putting the property on lease. 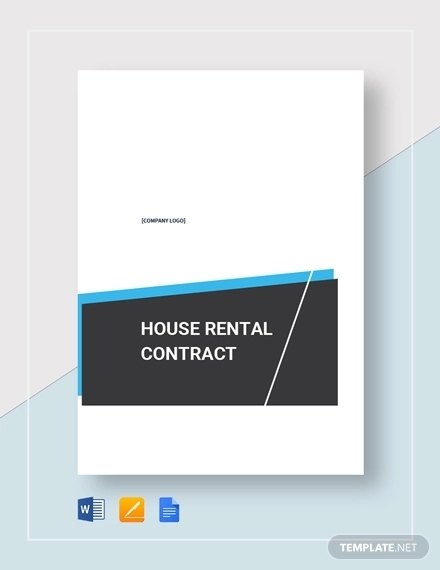 When a property owner decides to venture into leasing his property to others, a House Rental Contract is used to protect the interests of the landlord. 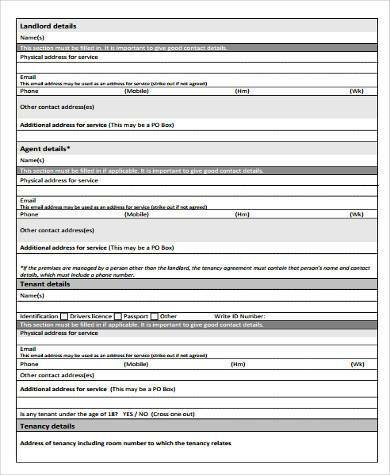 Our Contract Forms, Rental Agreement Forms, and House Agreement Forms can be used to help you whip up your contracts in a span of minutes minus the hassle. 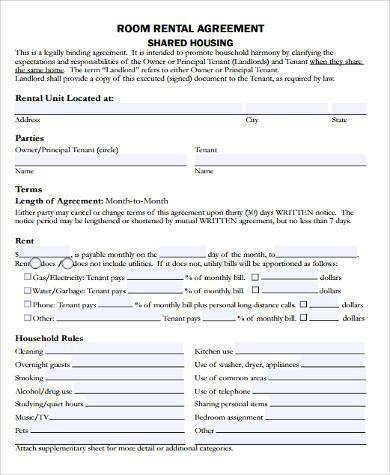 Written Rental Lease Agreements are not necessarily required by law when renting out property; however, in a world where people sometimes take advantage of others, forget, or where deals just cannot be enforceable anymore with a mere shake of hands, written rental contracts are necessary to legally bind the tenant and the landlord and to formalize the agreement between both parties. 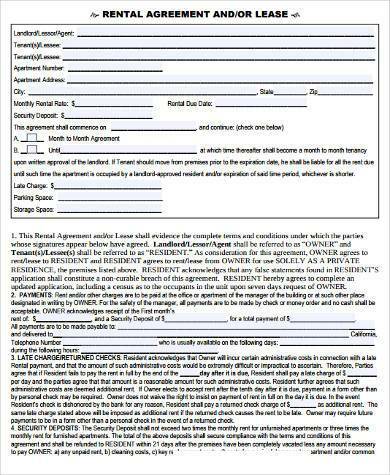 When a landlord and a renter have come to terms with the conditions set in an agreement, both parties have to affix their names and signatures on the contract to demonstrate that they willfully agree to it. 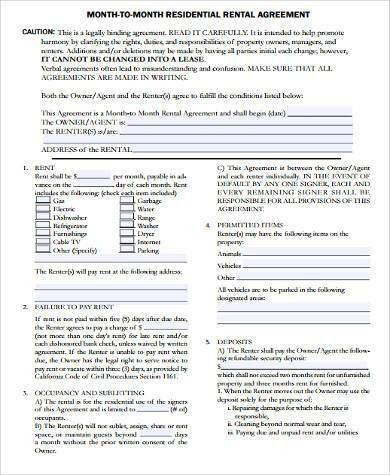 Home Lease Agreements are legal and binding contracts and therefore obligate both parties to comply with the conditions being outlined in the agreement. 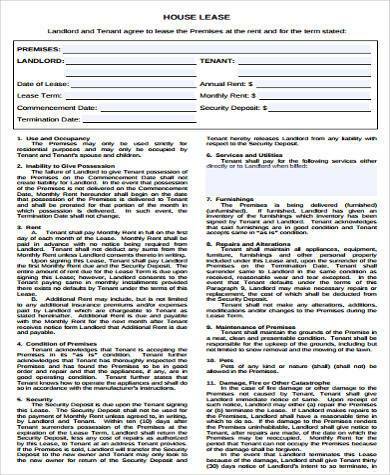 Any action that violates any of the aforementioned terms can be grounds for litigation. 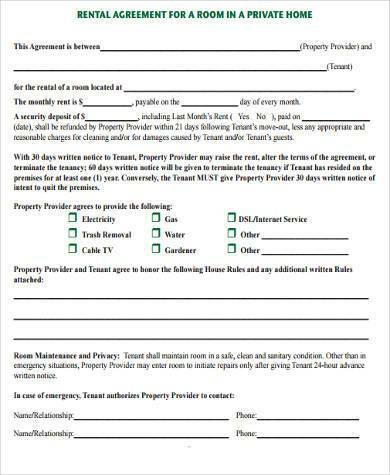 The responsibility for paying the cost for the maintenance and repairs to the property should be indicated in any Lease Agreement. Some landlords indicate that the cost for maintenance and repairs should be done by the tenant if the damage was incurred by the renter. Landlords usually require a security deposit at the beginning of the lease. A security deposit is a payment other than the advanced deposit which usually covers up for repairs and maintenance costs or unpaid dues. 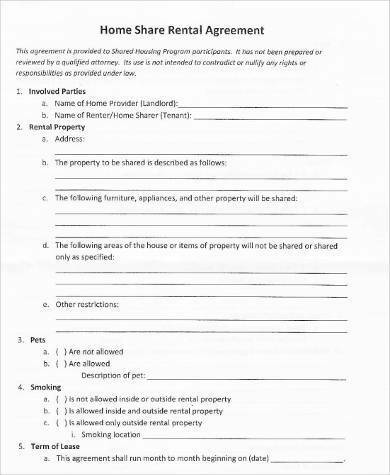 A Lease Agreement should set terms that protect the privacy of a renter and indicate a landlord’s right to enter a leased space only upon the authorization of the tenant. 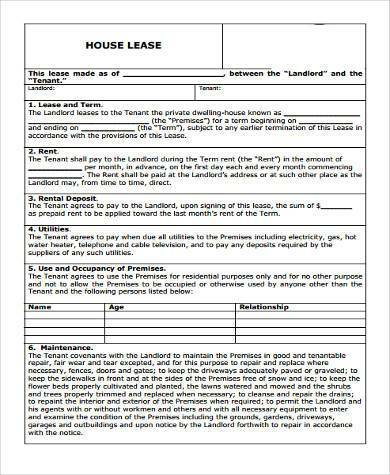 Both the tenant and the landlord have the right to terminate a lease before it even ends. 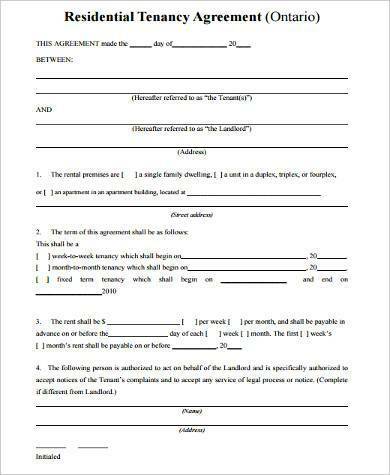 Terminating an agreement may be mutual or may arise when a portion of the agreement’s terms and conditions have not been met. 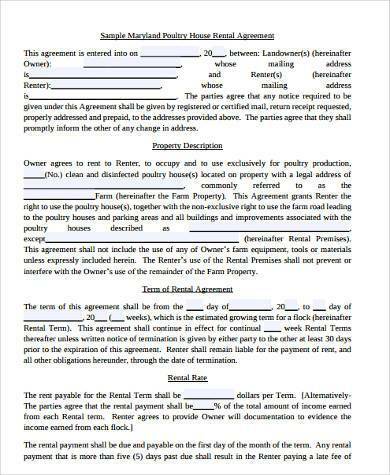 However, as with other contracts, terminating an agreement has to be made step by step to avoid disputes or lawsuits.